Great value! Waterfront, views, south facing and 1,473 sq. ft. at a fabulous price! Live the coveted LOLO lifestyle every day! This thoughtfully planned 2 bedroom 2 bathroom offers all the space you need and so much more all on one level. The impressive open plan living and dining space is perfect for entertaining. Extras include: a gorgeous gas fireplace, custom blinds, crown moldings, rich hardwood floors and a sun-drenched deck! Master bathroom is fully renovated. Your king sized master has a walk-thru closet, ensuite and views! An oversized laundry room offers potential to be your home office. 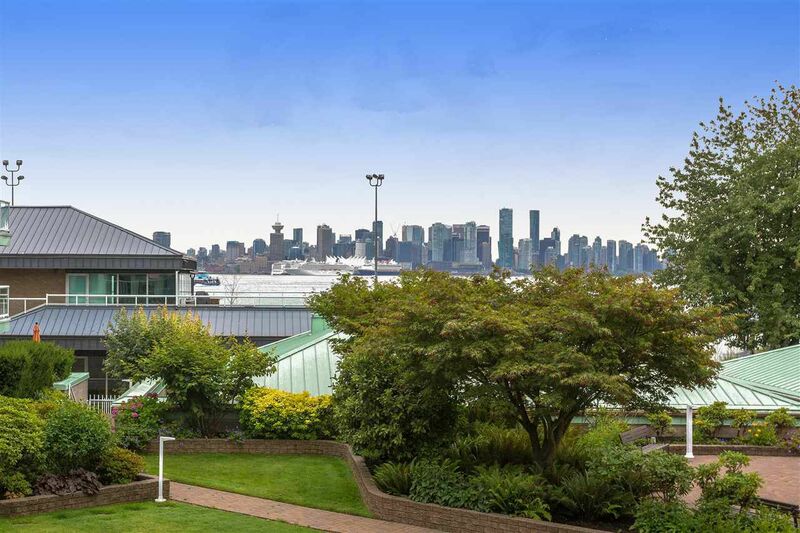 Only steps to the Seabus, Quay, and every amenity. Includes two secured underground parking spaces and one storage locker. No rentals. One cat ok. Immediate Possession to your North Shore Lifestyle! Don't hesitate, make your offer today!